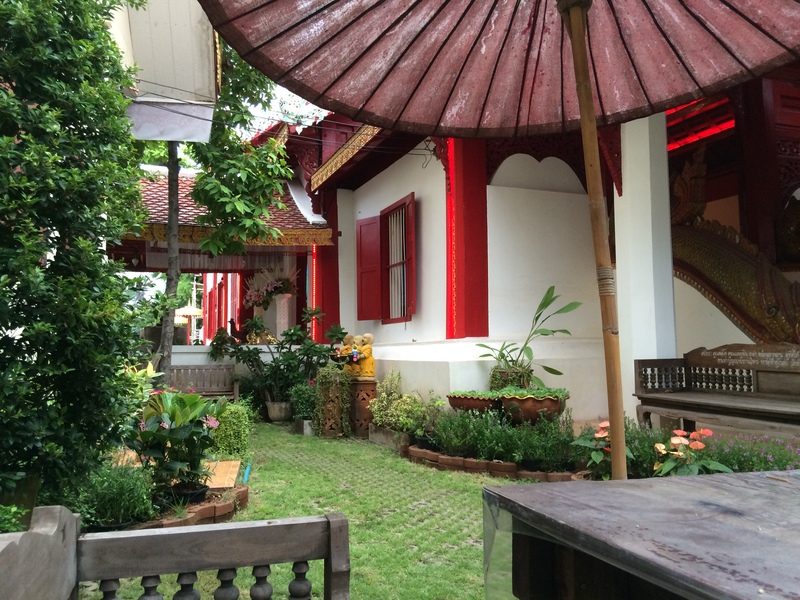 After the constant party that was my first week in Thailand, I was happy to get on a plane headed for a detox in Chiang Mai. It was an adventure on its own, but it was also the first solo adventure I’ve ever had. I was instantly met with a more traditional city; bursting with culture and the freedom to do whatever I wanted, when I wanted. I checked into a hostel for 4 days and the only vacancy they had was a bed in a quadruple occupancy, shared room. AKA: there were 2 sets of bunk beds and I was living with 2 boys from Jakarta. I really dove right into new experiences lol. The first day I stepped out with my 2 new roommates, and we were immediately met with the innate bipolar weather that is Thailand. One minute torrential down pouring, the next clear blue skies and sunshine. 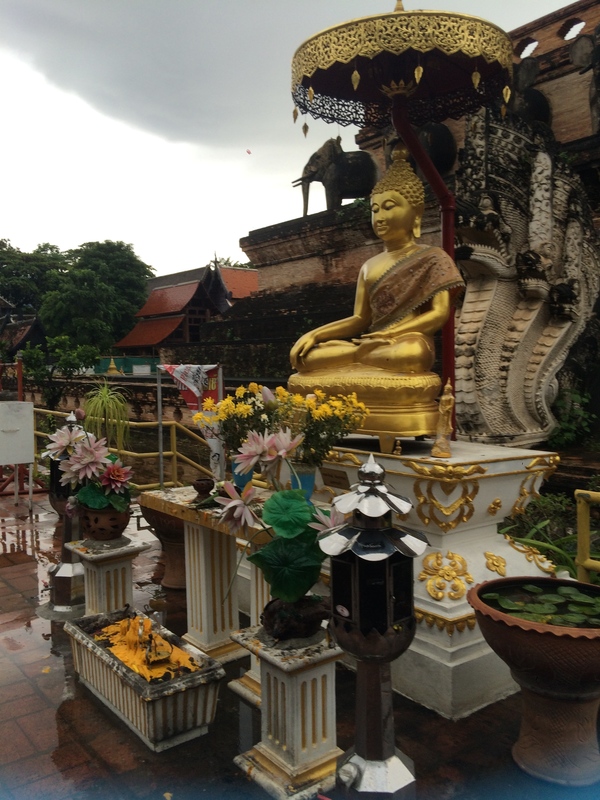 I bought a poncho for a dollar and started exploring the Thai buddhist temples. There were about 4 and all of them were a little different, all serving different purposes. What those are, I don’t know. I feel like 1 buddhist temple is reasonable, but 4 all equidistant from each other in a square form and about a mile, tops to the next one. I feel like, maybe they just got really excited about buddha? The temples themselves were very impressive. 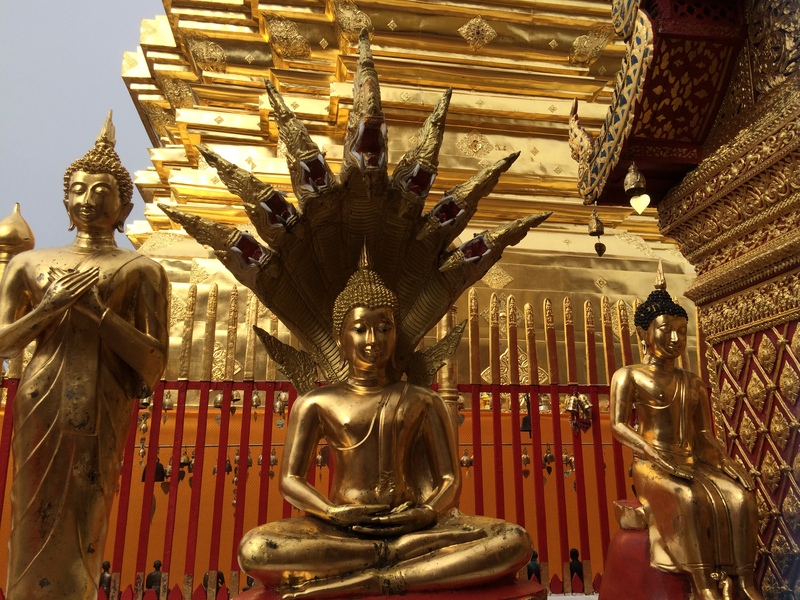 Gilded with gold, and eating having a towering statue of buddha in the center. I only had a problem with the one that wouldn’t let women inside- because women aren’t even worthy of practicing religion? No. Because women have a habit of bleeding. :l I wouldn’t have had a problem if they didn’t tell me that you were expected to make a donation into one of the thousands of pots in order to live a happy life. So I guess I am double misfortunate because now my wishes won’t come true. I then went back to my room and got ready for the night, which I spent with my sisters’ friend who just moved to Chiang Mai. He picked me up on his motorcycle and we drove to the night bazaar- where you can find ridiculously cheap clothes, jewelry, designer goods, art, souvenirs, etc. We got there at the tail end of things so we just walked around and I marveled at all the cool mercantile shops. 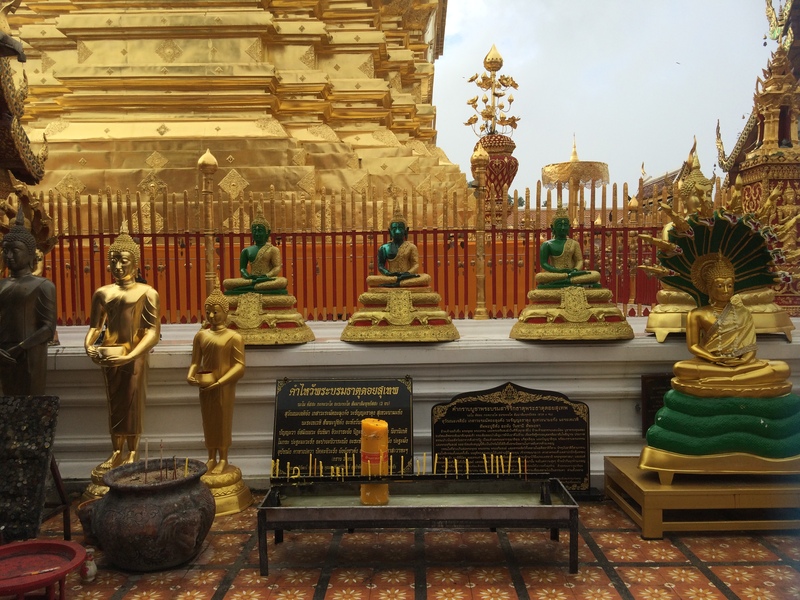 The next day I went on a guided temple tour of the famous Thai temple Wat Phra That Doi Suthep. If you suffer from car sickness, I highly recommend that you take some Motrin before getting into the van. Just trust me on this one- it isn’t fun getting there. 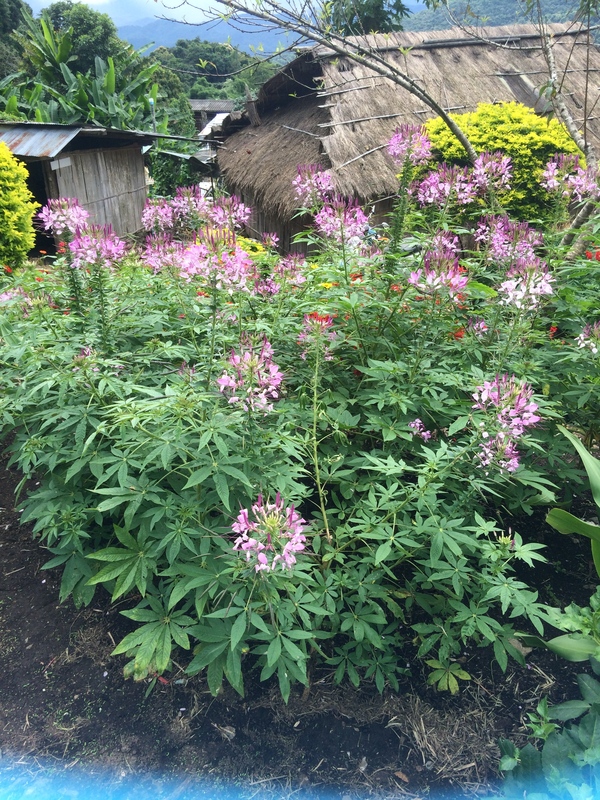 When we (finally) got to the top, we were shown around a village that discovered Stevia. They also had Opium farms- because a spoon full of sugar helps the medicine go down! Ba-dum-chhhh. 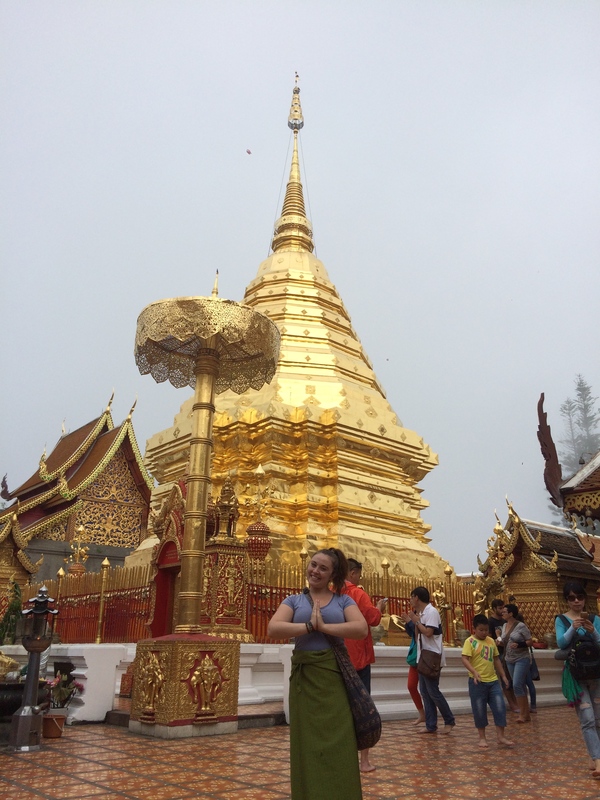 But really, they had it because a little bit of heroin helps with altitude sickness, which is true, buttt….I mean, this is Thailand so I feel like the people in the village are getting down when they’re getting high if you know what I mean 😉 I think I’m really funny. 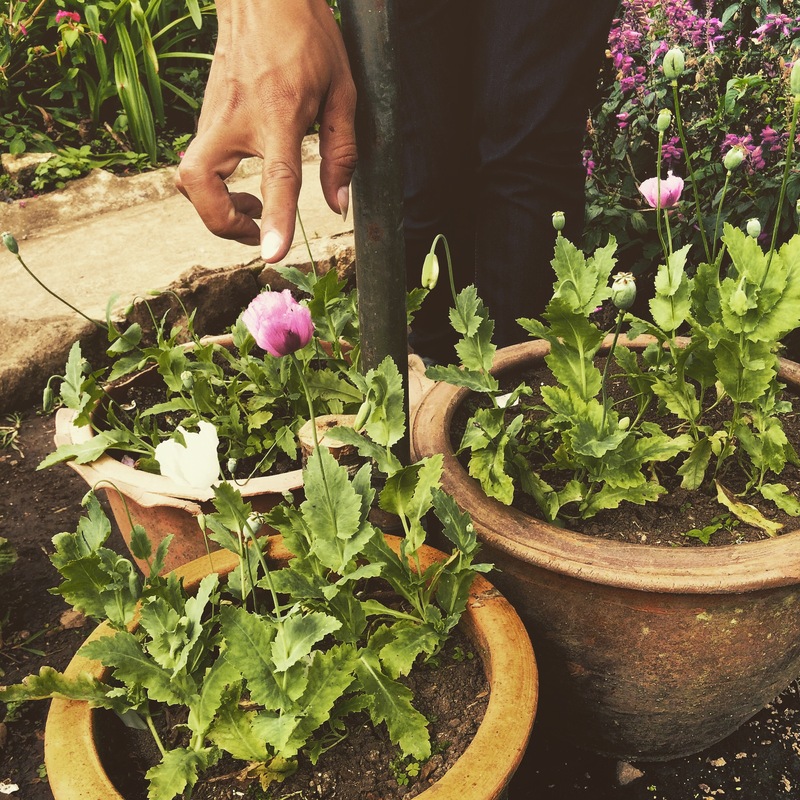 Here is a picture of an Opium plant, and apparently the purple ones are better because they’re more potent. Pro-tip for life! I felt like Dorothy in the Wizard of Oz because they were growing opium in that garden, and lets be serious, Dorothy wasn’t in Kansas and when she got to Oz she didn’t even think about Antie Em and partied a little too hard in the poppy fields. 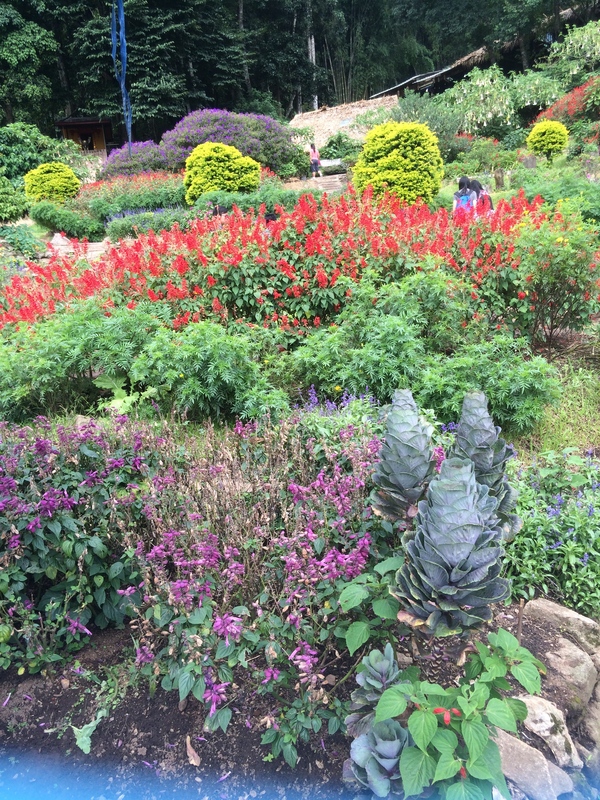 The garden was absolutely beautiful with the most exotic plants and flowers I’ve ever seen. Again the pictures don’t do it justice! We then got back into the bus, going far too fast up a mountain cliffside on a one lane road with more turns than the hokey pokey. No joke. We got to the temple and our “tour” was just our guide telling us that we got to walk around for an hour on our own. Good thing I paid for a guided tour! 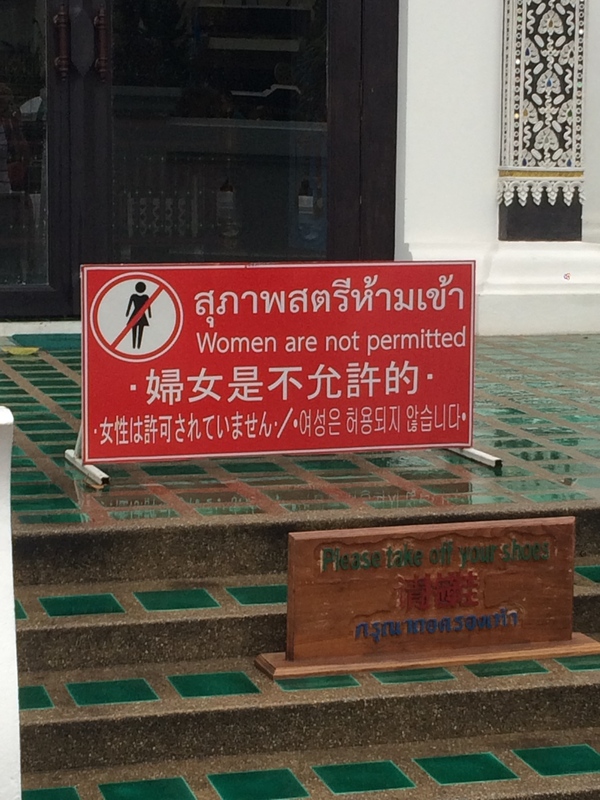 #thailand. 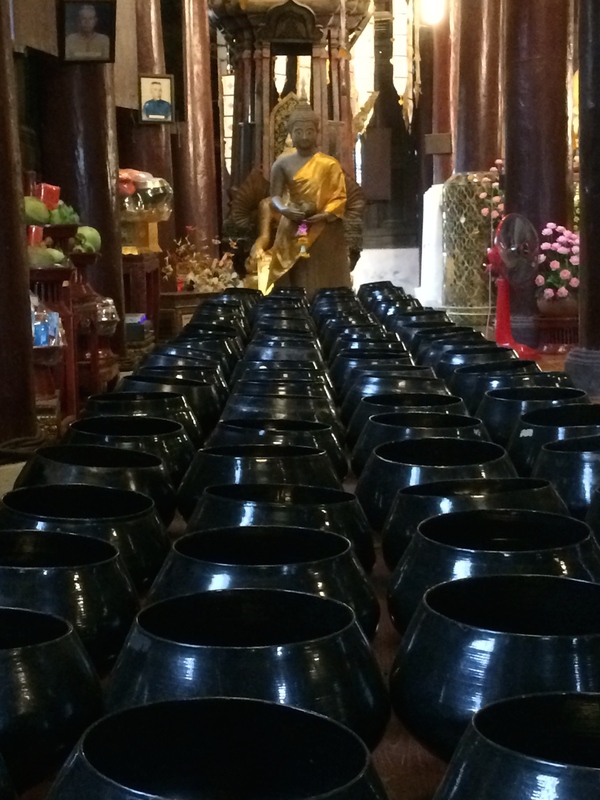 It was really cool because there was a room where a monk was blessing people. I guess the guy got confused, and a little embarrassed when he pulled all the children up to get blessed and chose me to go along with them. #shortpeopleproblems. But thank Buddha I got blessed because my soul was really in need of a cleansing. #thanksmagicmonk. I wish I had a picture, but it all happened so fast. 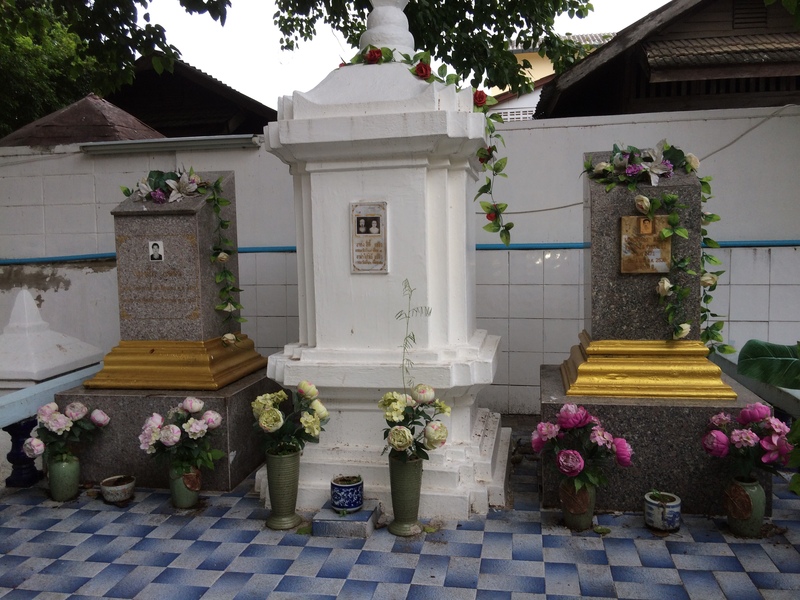 I’ll always have the memories of that time in Thailand when a magic monk thought I was a child but continued to throw water on me because I guess he could tell I really needed it. I’m really disappointed though, because apparently when you’re done getting blessed by the magic monk, you get a white bracelet that shows you’ve been ‘touched by an angel’ so to speak. No one told me this, so I never got mine and I feel like the magic monk pulled a fast one on me. 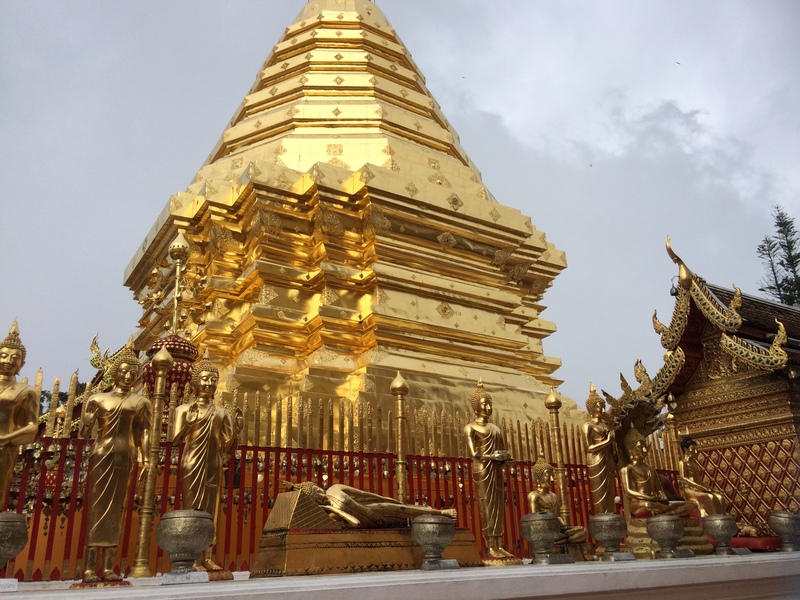 The temple was beautiful, and completely covered with gold. They still asked me for donations though…. pro tip: when you’re asking for money, you might not want to display how well off you are with your gilded temple. Just kidding, this thing was old AF and its value has depreciated significantly since it was built. I do wish that tour guide I paid for actually, you know, told me anything about the temple…like at all…but I did manage to get some cool shots. After the tour was over, and I had survived the ride in that van, I decided to take a tour of the night bazaar with my roommates. 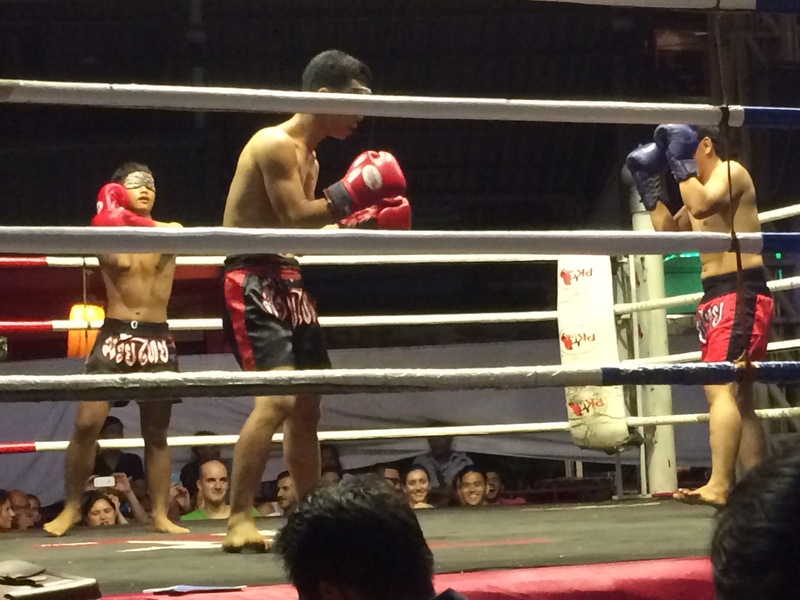 That night was the best because we got to see a real live Muy Thai fight! Those people were crazy, and the fighting was insane, but I think the best part of it was intermission. When the blind folded three fighters, and threw them into the ring and literally said “go!” I don’t know if this is a common practice in Thailand, but I have a feeling it wasn’t. In which case, it was the best, most hilarious and entertaining thing I’ve ever seen. Two of them would find each other, and they would gang up on the third guy….sometimes the third guy would be the referee and the the other guy was just walking into the ropes. 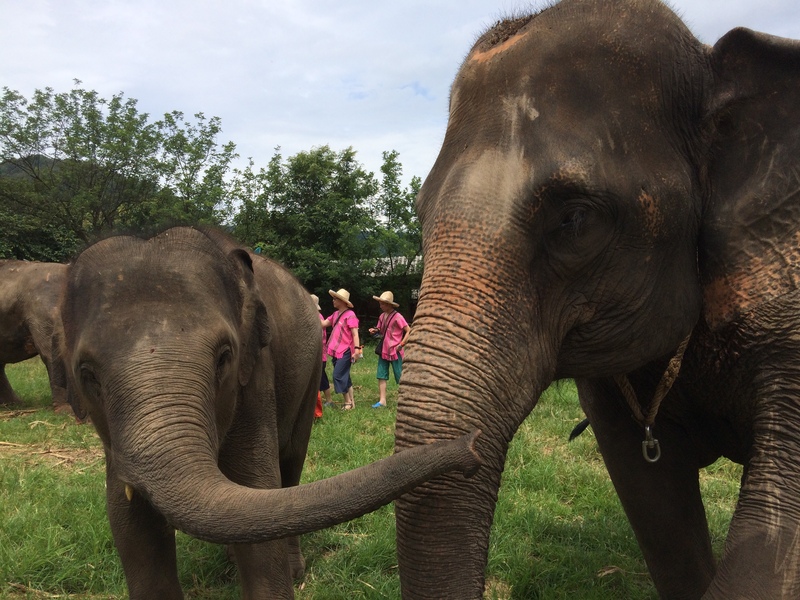 When I arrived in Chiang Mai I felt horrible about supporting the unethical elephant farm the week prior, and vowed that I would go and support an elephant sanctuary. Where abused elephants are brought to be rehabilitated by volunteers. 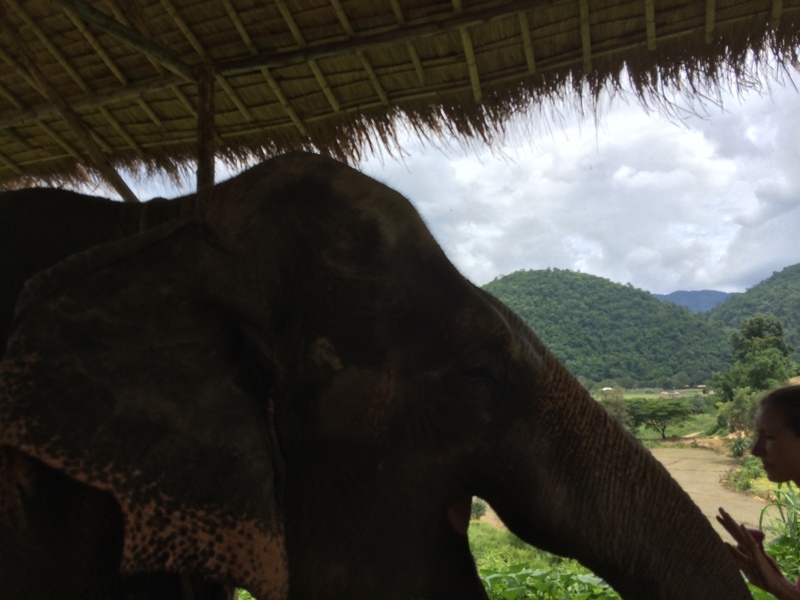 I chose Happy Elephant Home because they reach out to Mahouts who are known to be abusing their animals. 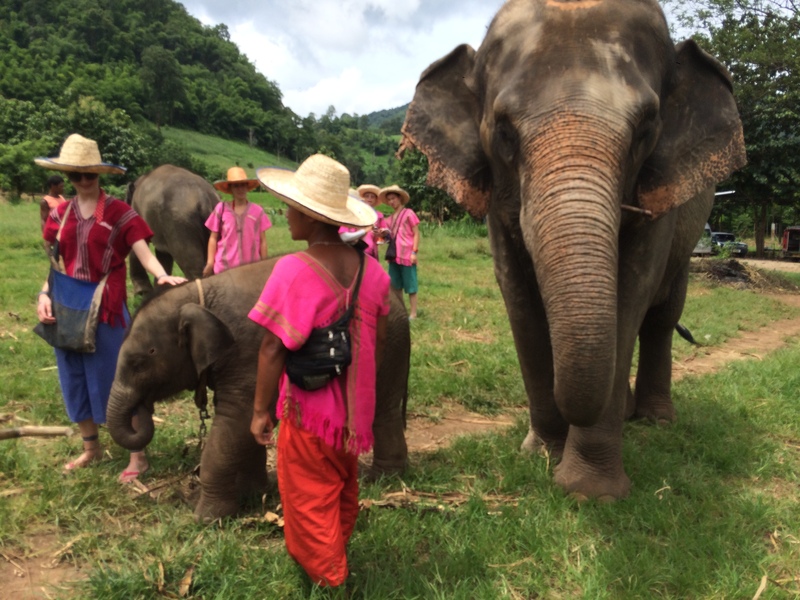 The sanctuary takes their elephant for a week, takes care of them and then invites the Mahout to see how much happier the animals are and instructs them on how to care for the elephants themselves. It’s truly a great organization and I believe that the work they do is critically important. Animal tourism creates hundreds of jobs in an already struggling economy in a developing nation. To eradicate animal tourism all together is unrealistic- but people need to be educated on the proper treatment of animals. I spent about $300USD but the experience was priceless. 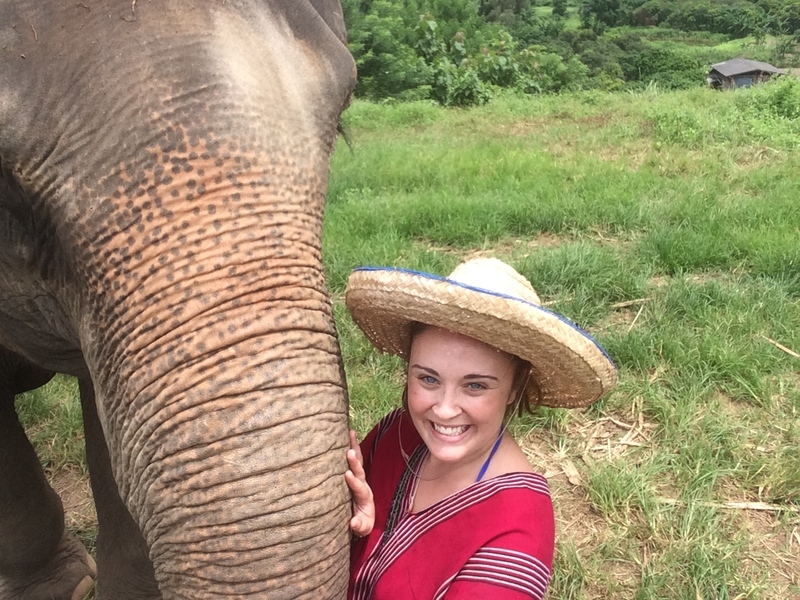 I spent the day with elephants, I got to feed them sugar cane and bananas. They fed us an amazing authentic Thai curry lunch. 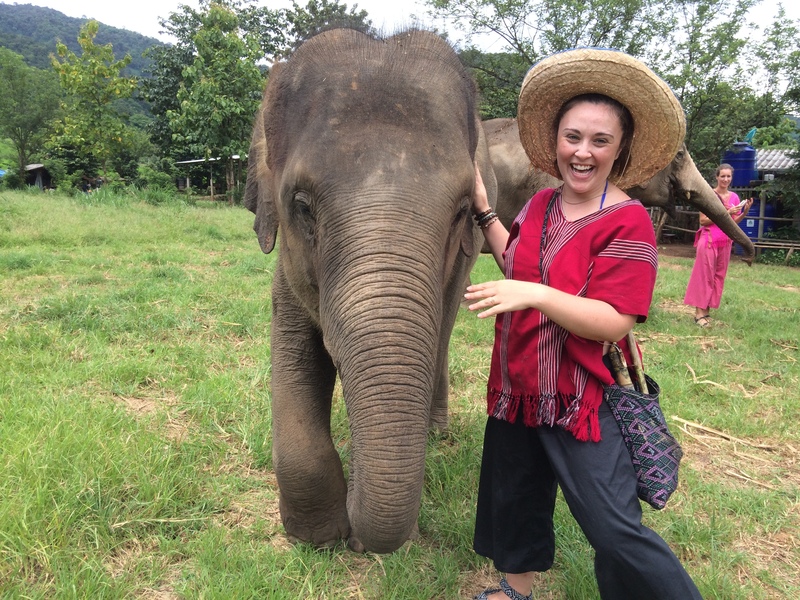 We got to trek through a Thai jungle in the rain with the elephants- which actually made the experience better, because it felt a little more exotic with the rain. 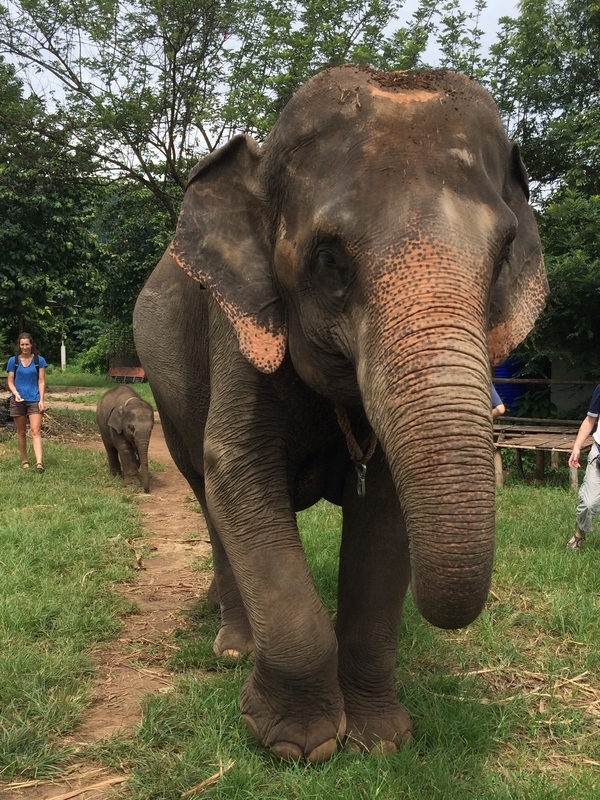 We got to bathe the elephants in a mud bath, and then walk down to a river to swim and play with them. 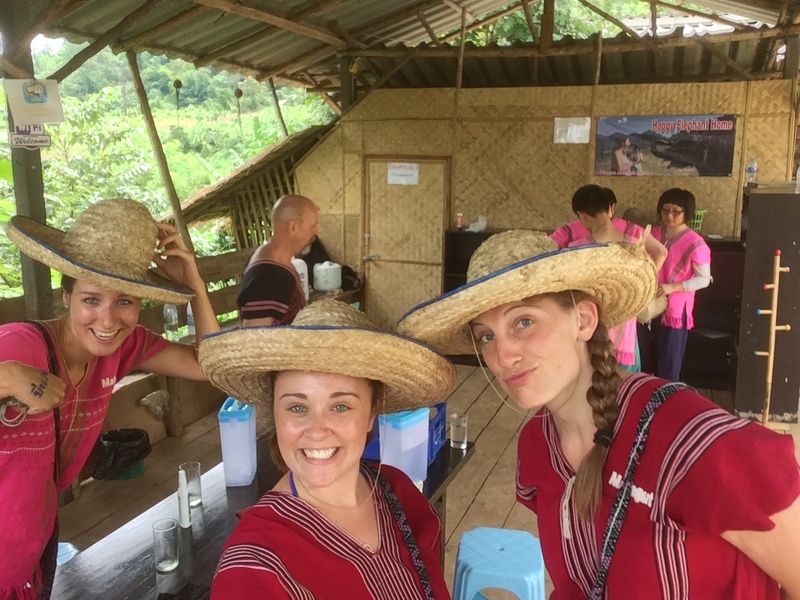 We also got to wear high fashion Mahout clothes so ours wouldn’t be ruined. This experience was 100% the best, most rewarding and unforgettable thing I have ever done. I can’t put to words how amazing it feels to stand next to a creature so massive and beautiful and to not be afraid. I loved that Happy Elephant Home limited the number of people allowed on each tour so as to not overwhelm the elephants. There were 4 all together: 2 very old ones which they owned (mamma and grandaddy). Those two just didn’t have time for tourists and they kept to themselves eating all day. I don’t blame them, that’s all I want to do when I’m old. Then there was a teenaged elephant that wasn’t theirs (I forget it’s name but she was adorable!) and then there was bang bang. The baby elephant that “keep getting in trouble” because he was angst and “keep breaking the fence!” She was born there, and had never been exposed to animal abuse or tourism, so she was happy and full of life. Because Bang Bang was a baby, she had was the smallest, and had the most attitude out of all the elephants. I knew we would bond, but I didn’t know to what extent. On our way to the sanctuary, we were instructed not to bend down to bang-bang’s eye level, because she’ll think you’re playing. “This is no-no because bang-bang is still elephant, and she will crush you if she plays with you.” What they didn’t tell us is that bang-bang was 5″ tall- just like me. Obviously we would be at eye level. 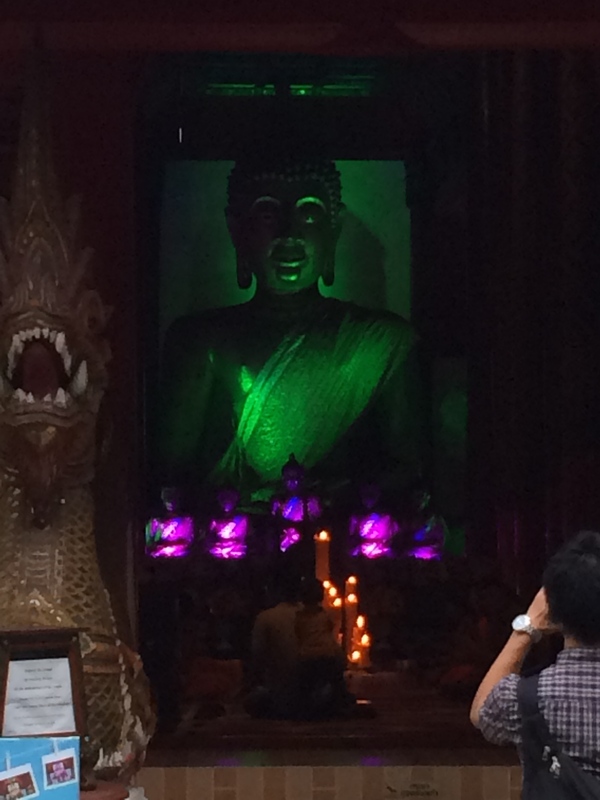 The following day was my last in Thailand and I really wanted to get some art, so I headed to the Night Bazaar- in the middle of the day. The art studios are under buildings in what looks like a parking garage. I found a man in a small corner with some of the most beautiful art I have ever seen. I noticed that he didn’t have a right arm, but was slowly pairing away. I was very interested and impressed and continued looking. 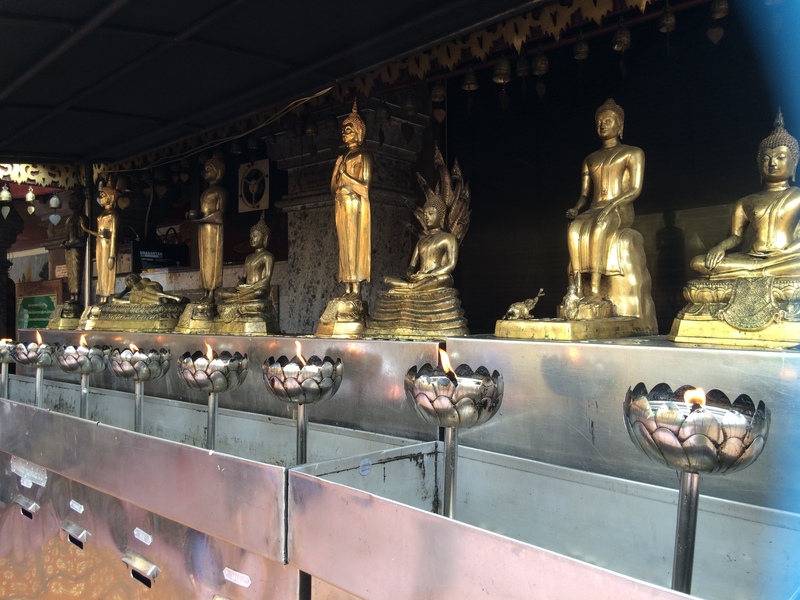 I was immediately struck by one hanging- a picture of buddha, sitting cross legged at twilight with a golden moon above him, surrounded by the most intricately painted and vividly colored lotus flowers before him. In the back is a faint outline of a temple, and it was just the most beautiful thing I have ever seen. A different man approached me and told me that was one of the last his brother had painted before his accident where he lost an arm. He was a very talented artist and didn’t want to lose his studio as a result, so his brother helped run the business. He was a talented artist himself, and now most of the paintings were his in the studio, but he refused to believe he was half as good as his one armed brother. I bought the painting, along with a canvas print with a herd of elephants bathing under a pink sunset surrounded by waterfalls and bright green mountains. The brothers’ stories were fascinating to me- the loyalty and the modesty of their work was truly humbling. They were surviving off the sale of their art alone. I was so impressed with the quality of their work, and their spirits that I offered more than their asking price, and I still feel like I walked away with a bargain. The people you meet while traveling are truly so original and all have the most interesting stories. Then the instructor opened his mouth. I didn’t mean to be rude, but I couldn’t understand any*thing that came out of his mouth. I don’t even know if he was actually French? But I immediately was reminded of this (see below) and just couldn’t stop myself from laughing. I think he knew I was laughing at him too, because every.single.time he said “downward dog” it sounded like “have a hotdog.” I can’t go anywhere nice, and this is why I can’t have nice things. After yoga was over, I went across the street to see what all the yelling was about (I know it’s called chanting, people- alright?!) I really wanted to do a “monk chat” where you donate however much money you can spare to support the temple, and you get to talk to a monk. I had already been blessed by a magic monk on top of a mountain, where his garden is filled with opium…buuuutttt I didn’t get a bracelet so it’s kind of like “does it actually count, now?” I didn’t have time though, so I guess I’ll never know. 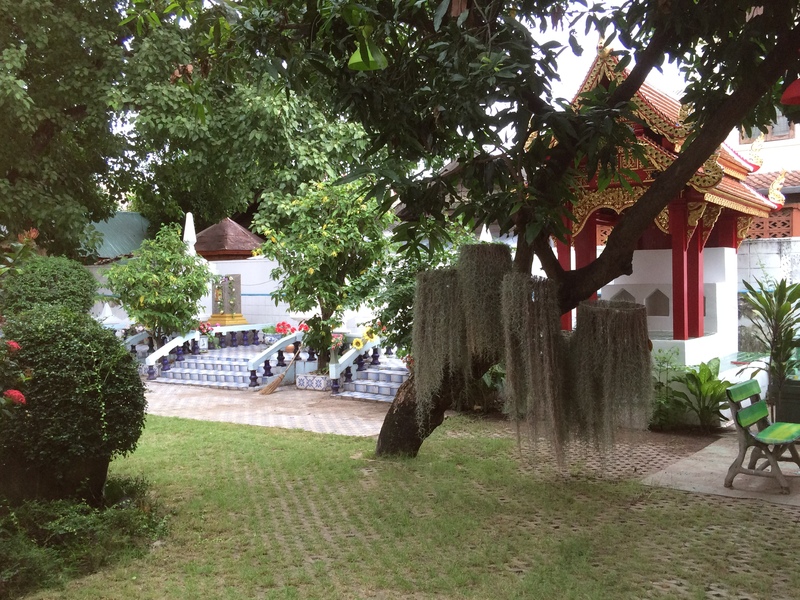 The grounds of this temple were stunning, though so it wasn’t all for nothing. Right? I was most bummed out though that I didn’t take a Thai cooking class. I seriously wish I had and these are also great things to do when traveling in a foreign country. You can talk to local people, learn about their culture and food, and best of all you get to walk away with food you made yourself and a cookbook so you can do it again. I made friends with a cute couple staying in my hostel and was instantly envious they got that experience and I thought “oh a cooking class? 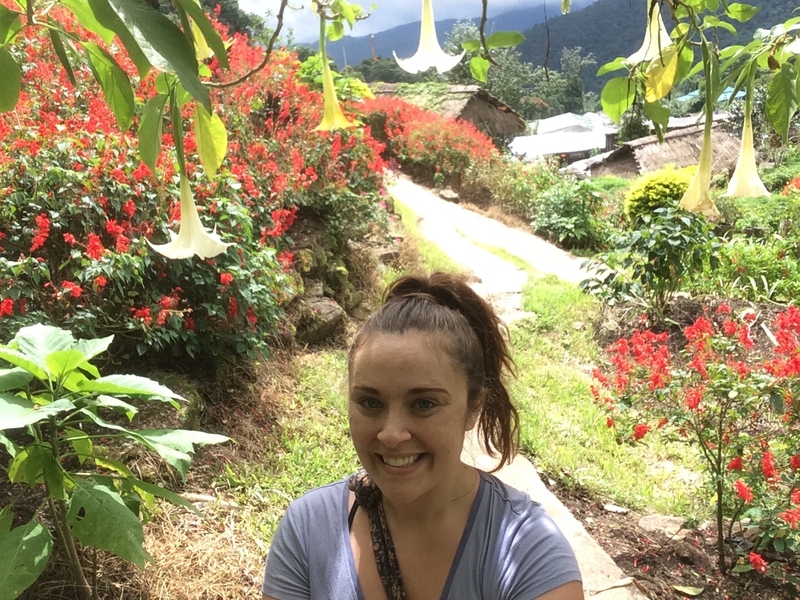 I can do something better.” Yoga and cooking classes are wonderful ways to immerse into the culture you find yourself in, and they’re relatively cheap to do. Also, public baths are amazing but there weren’t any in Chiang Mai 😦 at least that I knew of. 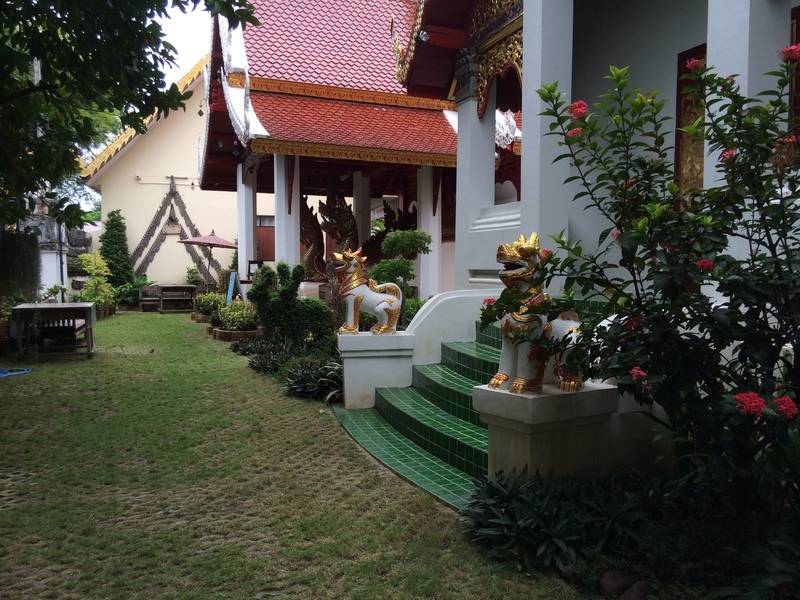 In every sense of the word, Thailand was amazing and a learning experience in itself, despite however brief. I learned that I am capable of overcoming so much more than I believe. There are always going to be hiccups, and setbacks. But I got to see my sister for an extended period of time, for the first time in nearly 2 years. I am grateful for the opportunities I have to travel and experience culture and life outside of my reality back home. I miss my people so much, but I feel like I’ve grown and changed so much in such a short amount of time. I see things so differently now, and am open to things I never thought I would be interested in or even possible. It sounds corny, and you hear it all the time as a kid but it is 1,000% true: you can do anything you want. There is nothing you can’t do- you just have to want it bad enough. I have found a passion for traveling and I don’t think that will ever go away. Sometimes I fear that I may not be able to have my cake and eat it too. In that I may not be able to have a career and travel at the same time. But then I remember that traveling doesn’t have to mean living in another country for a year- honestly, I don’t that will appeal to me going forward. So I do think I can have it all. I believe I can have a stable career, a family a home while not giving up my passion for traveling. I want it all, and I want it badly enough that I’ll do anything for it. 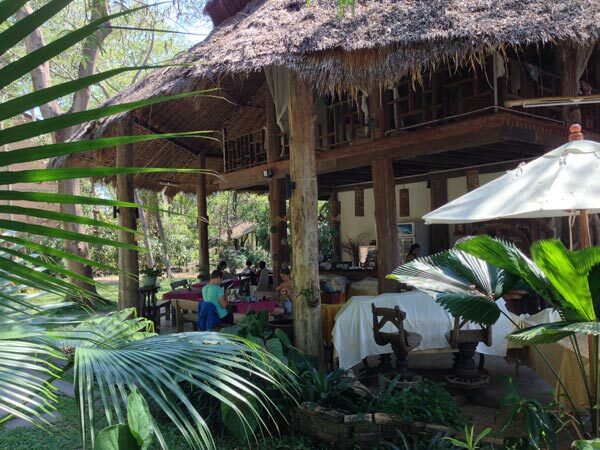 If you want to take a page from my book, you haven’t really been to another country until you’ve: taken a cooking class, a yoga class and gotten naked at a public bath house in front of the locals. I’m definitely rolling with it! 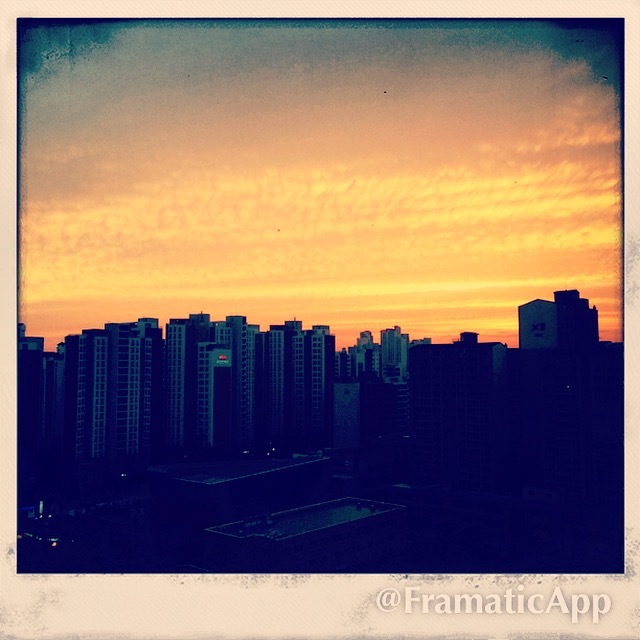 It’s really all I can do, enjoying it is the best part. Miss you too, miss!